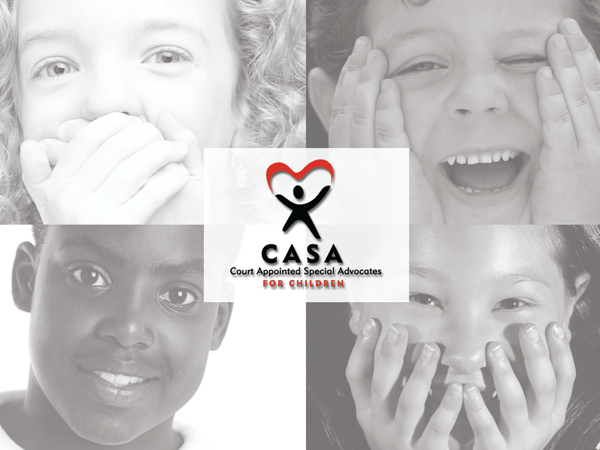 CASA (Court Appointed Special Advocates) is a not for profit organization that assits children who are the victims of abuse and neglect by advocating on their behalf through legal and courtroom proceedings. This project was for a local office who needed some new marketing materials. The self mailer was designed to be used for multiple purposes. The front features four children to reenforce their mission, and back was left blank so it could be printed using a laser printer, in their office at their discretion. 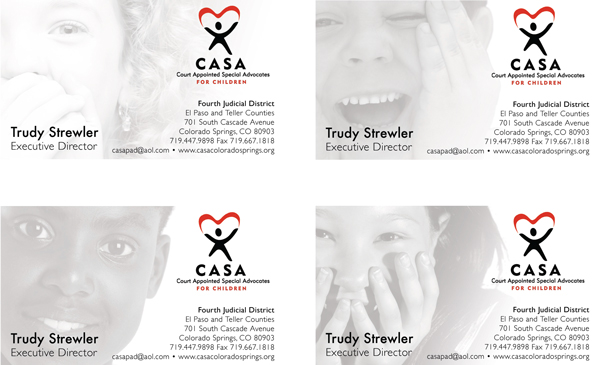 The business cards feature the same four children to maintain the brand consistency and every member of staff received a set of cards that included all four children as a subtle message that all children, no matter who they are, deserve an equal opportunity to be advoated for. Self mailer promotional card, backside was blank so it could be used for mutiple purposes.